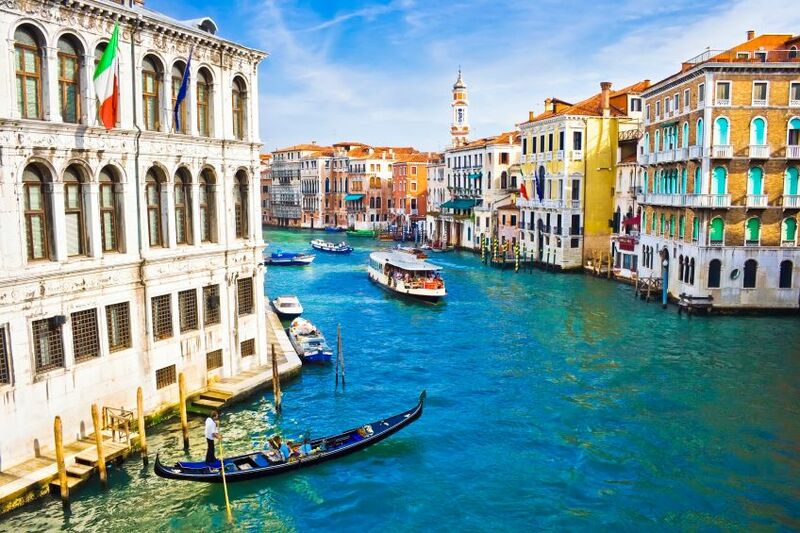 Venice – the Italian city of love – is the ideal setting for unforgettable dream weddings with Italian flair. For our bridal couple Katharina and Martin, the city with its small Italian alleys and romantic gondolas was simply the perfect choice. They dreamed of a cosy and romantic elopement to Italy – and which place could fulfil this desire better than Venice? Civil weddings in Venice usually take place in Palazzo Cavalli – an elegant renaissance building with breath-taking view of the Grand Canal and the Rialto Bridge. Katharina’s and Martin’s wedding day first began in the Liassidi Palace Hotel which they had chosen for their stay in Venice. In order to look perfect on her big day, a hair stylist and make-up artist for Katharina were not to be forgotten. They visited her right in the hotel and prepared her for her special moment totally according to her wishes. Afterwards, the couple went to Palazzo Cavalli where the civil wedding ceremony took place. As they only arrived in twos, it was a very cosy intimate wedding – purely romantic! After their elopement in Venice, they enjoyed spending a nice day together – starting with a romantic photo shooting at the city’s most picturesque places. Lovely wedding photos are a must-have for such an unforgettable day and nearly no other city offers such a variety of breath-taking sceneries like Venice. The shooting was followed by a romantic gondola trip along the typical small canals. Finally, the day was rounded off by a dinner in the elegant restaurant Quadri. This exclusive restaurant offers a gorgeous view of St. Mark’s Square and a first-class range of typical Venetian and Italian delicacies – the perfect completion for Katherina’s and Martin’s intimate elopement to Venice! We congratulate you on your wedding and wish you all the best for the future!